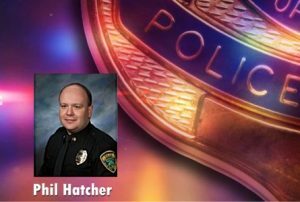 Valley City (CSi) Valley City Police Chief, Phil Hatcher reports, this morning at 1:53 a.m. police were dispatched to a business in the 100 block of Main Street East, regarding an imminent life safety issue involving two staff members and a male perpetrator. As officer arrived on the scene, they found one staff member running away from the business and took the person into protective custody. A short time later, the other staff member was found to be safe at a different location. A perimeter was established to ensure public safety, while officers investigated the incident. 27 year old Zachary David Kline of Valley City was taken into custody without further incident and is currently be held in the Barnes County jail, charged with two counts of terrorizing, a Class C Felony, and two counts of felonious restraint, Class C Felonies. Valley City Police was assisted by the James Valley Special Operations Team, James River Correctional Center’s, Hostage negotiation team, the Barnes County Sheriff’s Office, and Barnes County Ambulance.